Get ready to get your most frustrating business questions answered by a successful studio owner Lisa Kuecker. 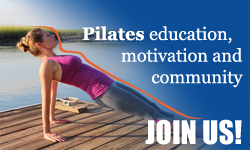 Learn how to transform your mindset and your business to take your Pilates studio to the wait list capacity. Lisa built her business from the ground up and currently she is running 4 successful fitness facilities (with a complete Pilates studio in them) that generate a 7-figure income for her and her family. And she is ready to share her best secrets with you.